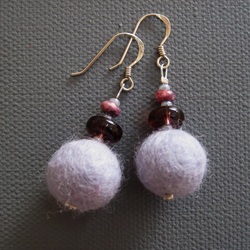 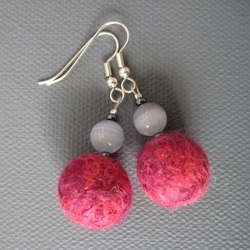 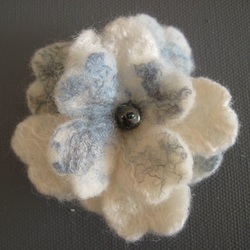 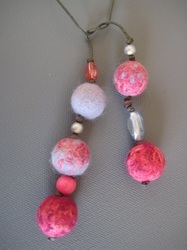 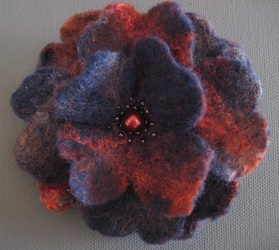 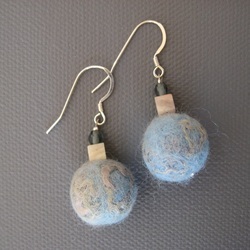 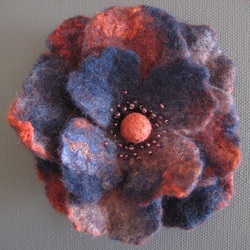 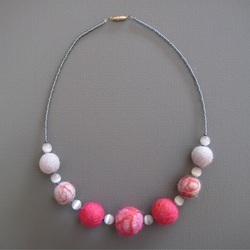 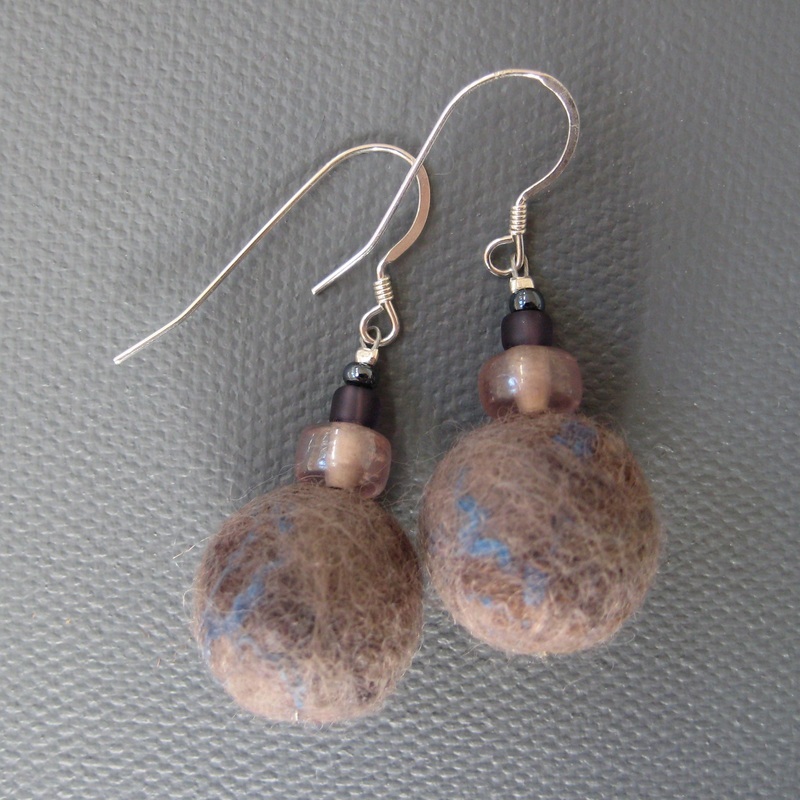 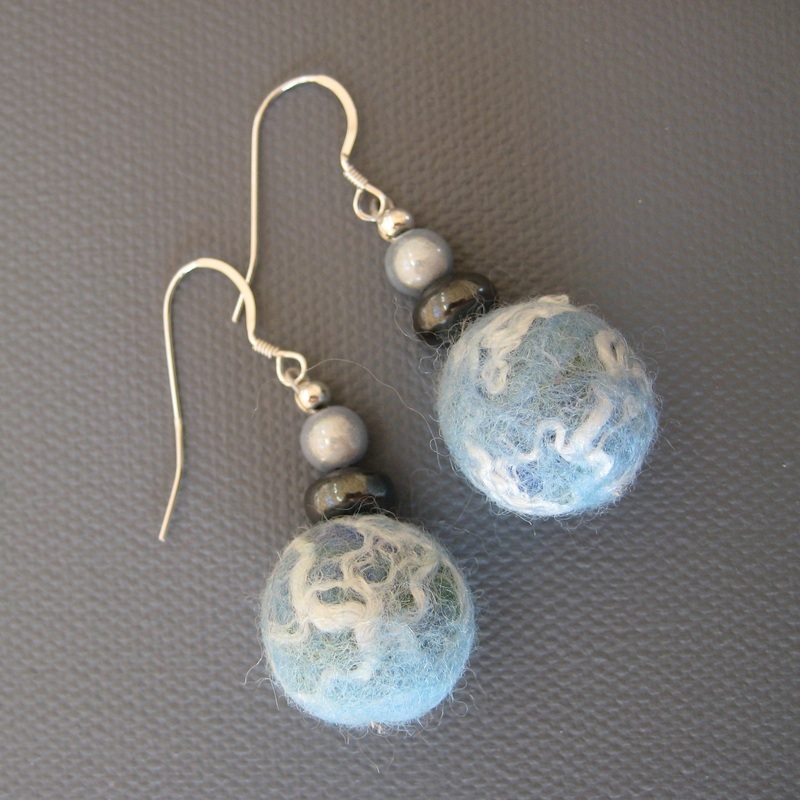 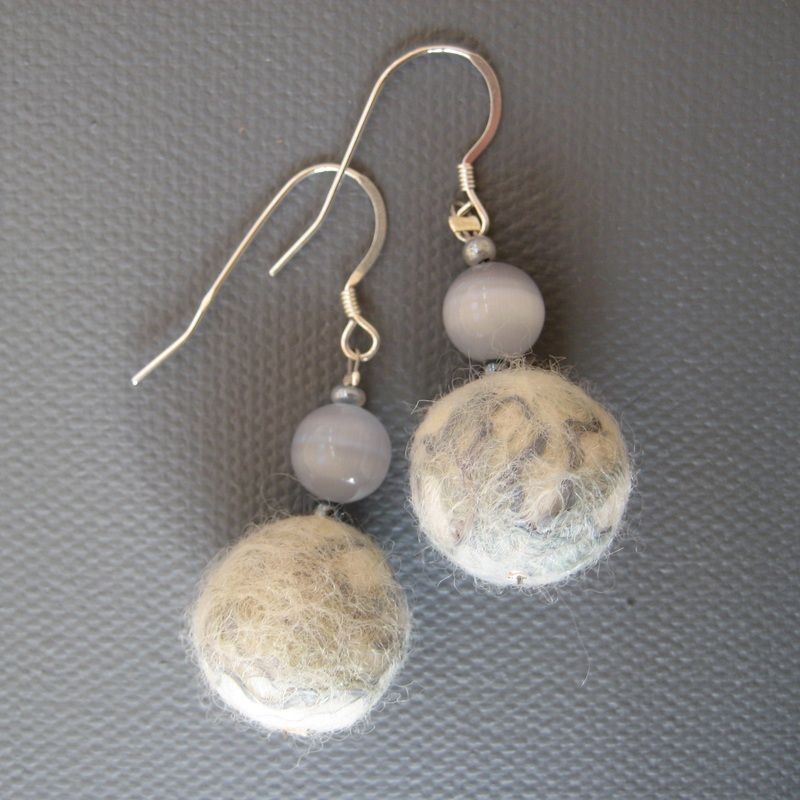 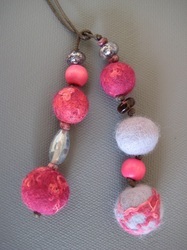 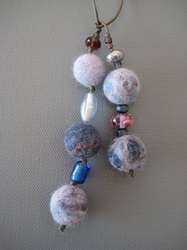 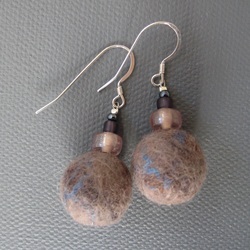 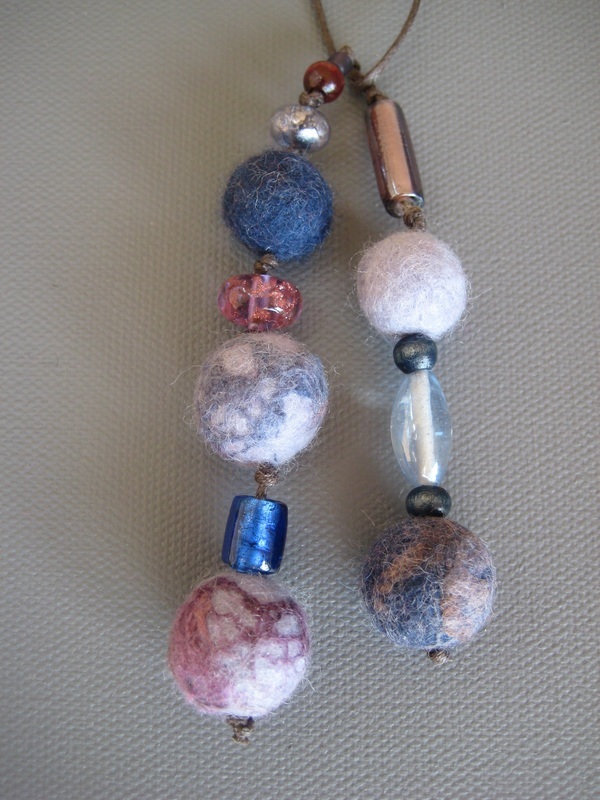 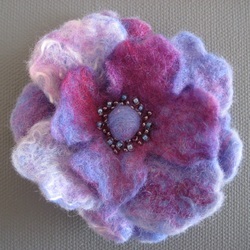 I make the felt balls from dyed Merino wool and silk fibres. 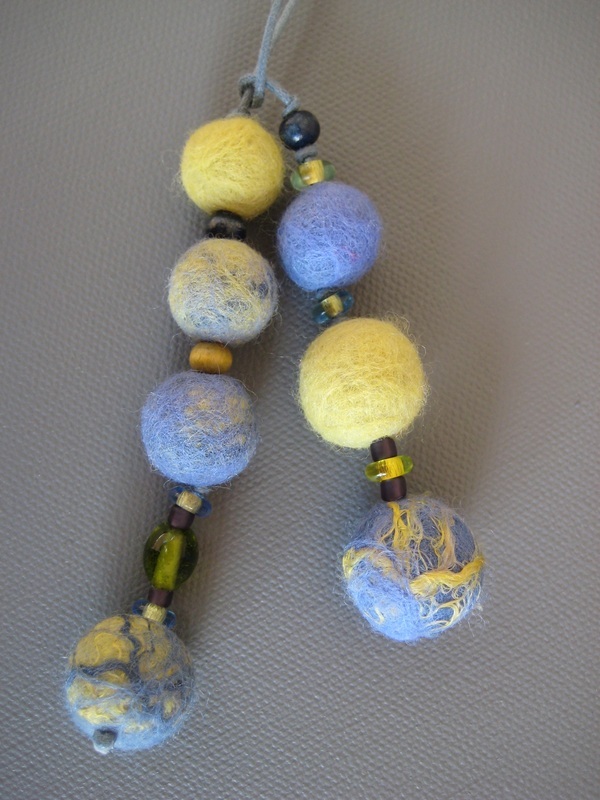 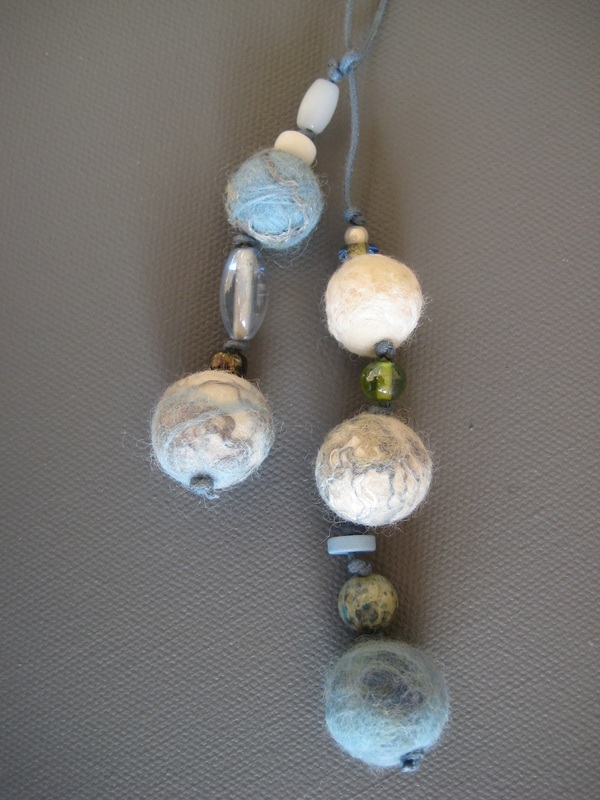 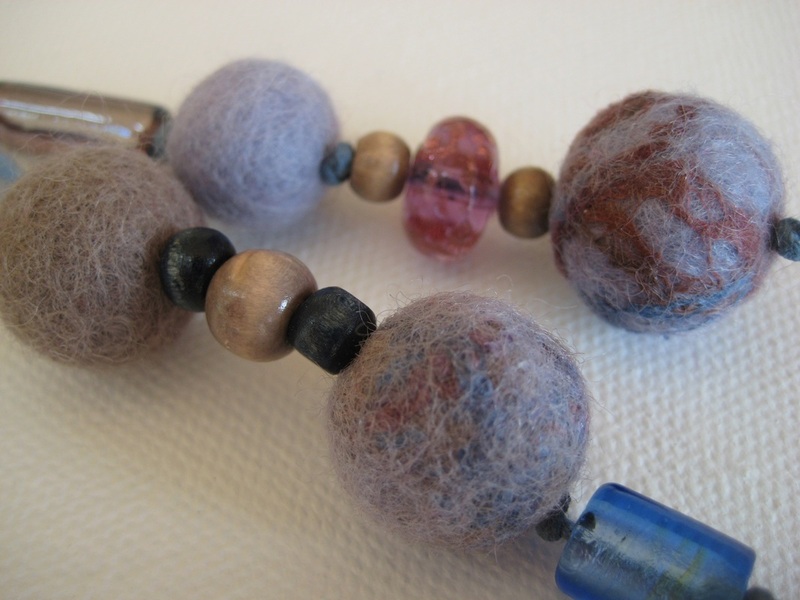 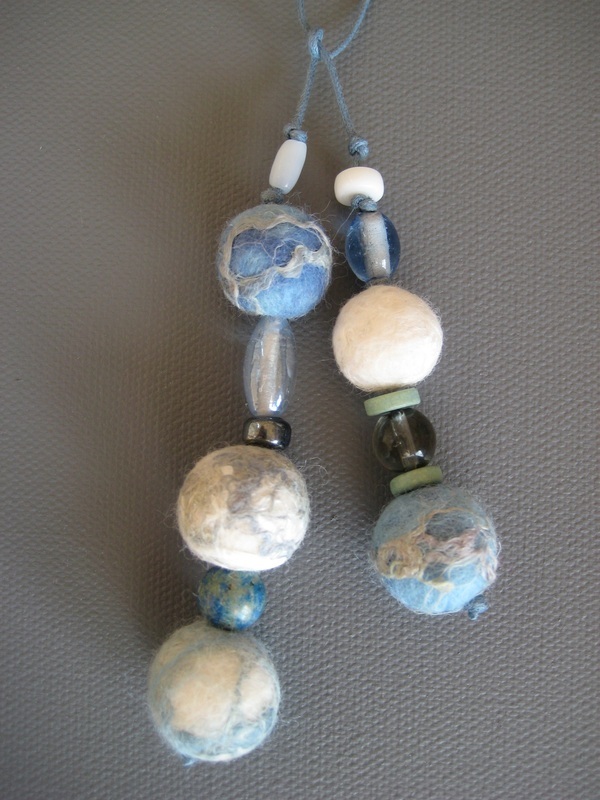 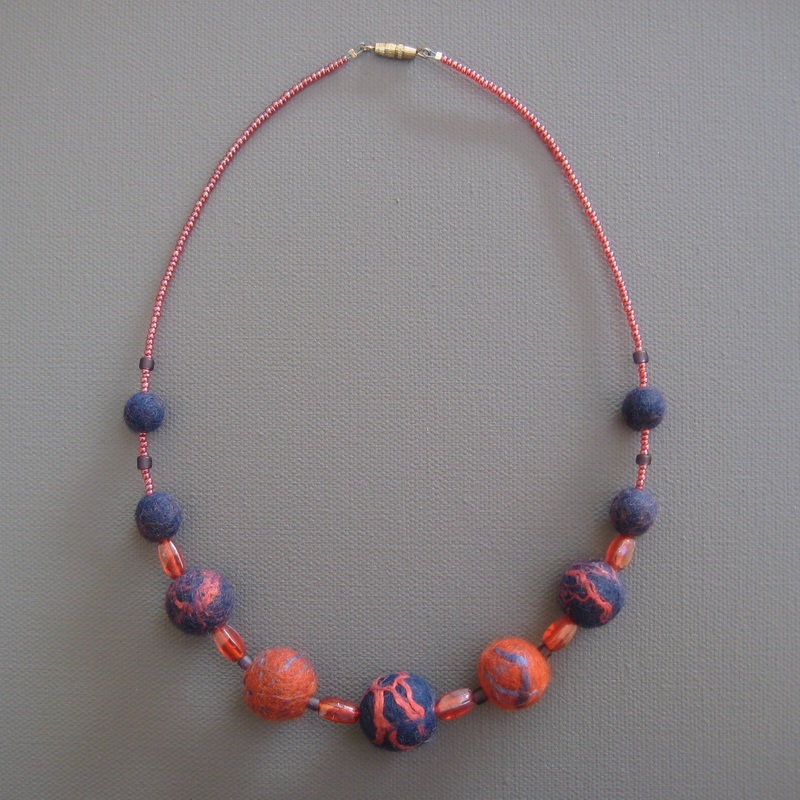 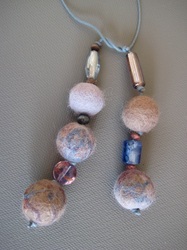 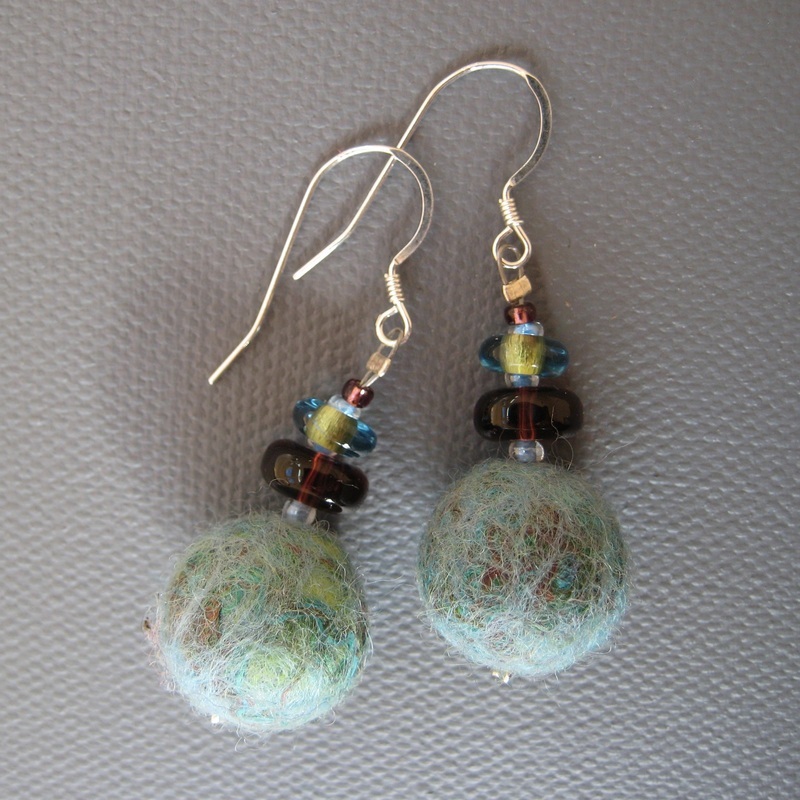 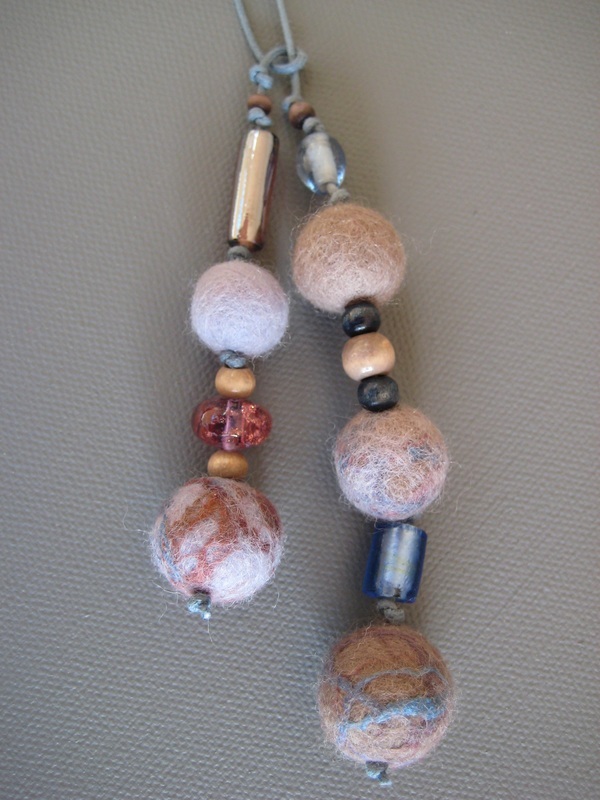 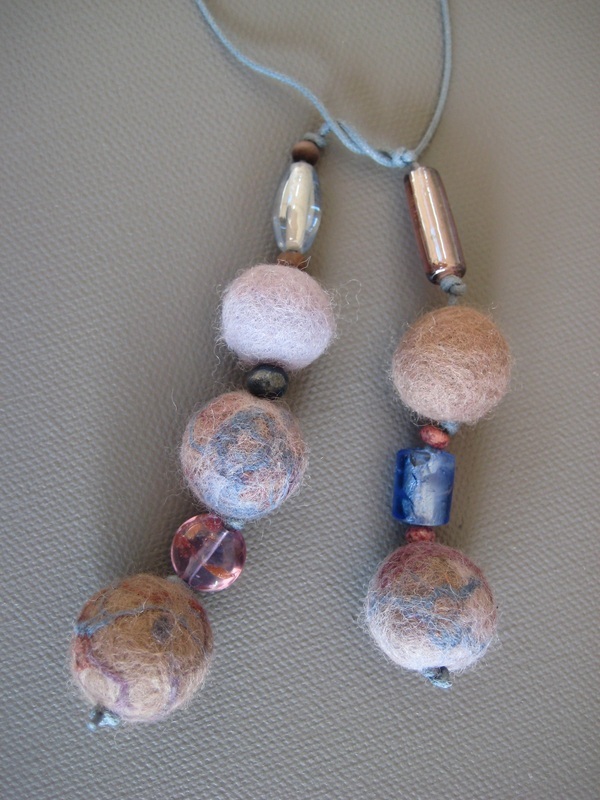 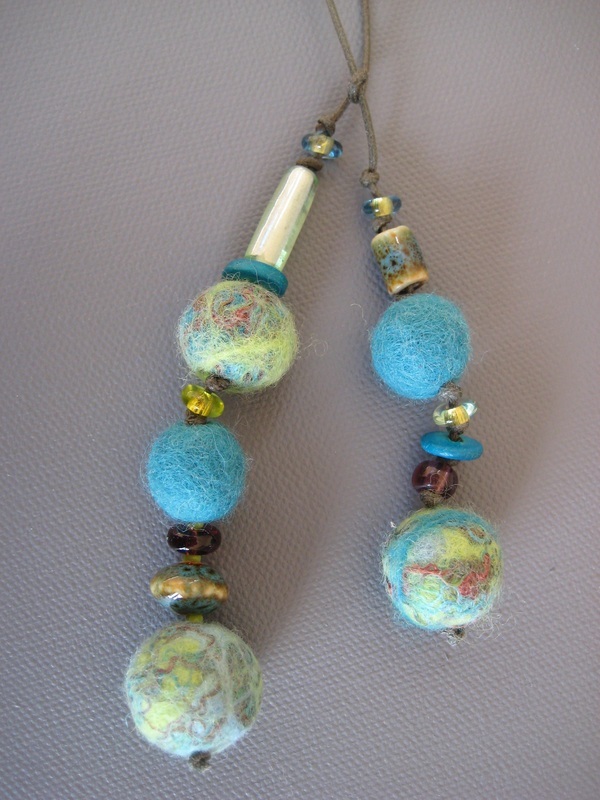 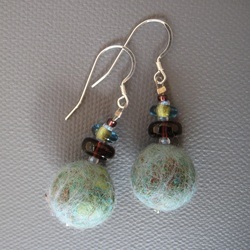 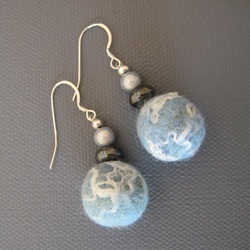 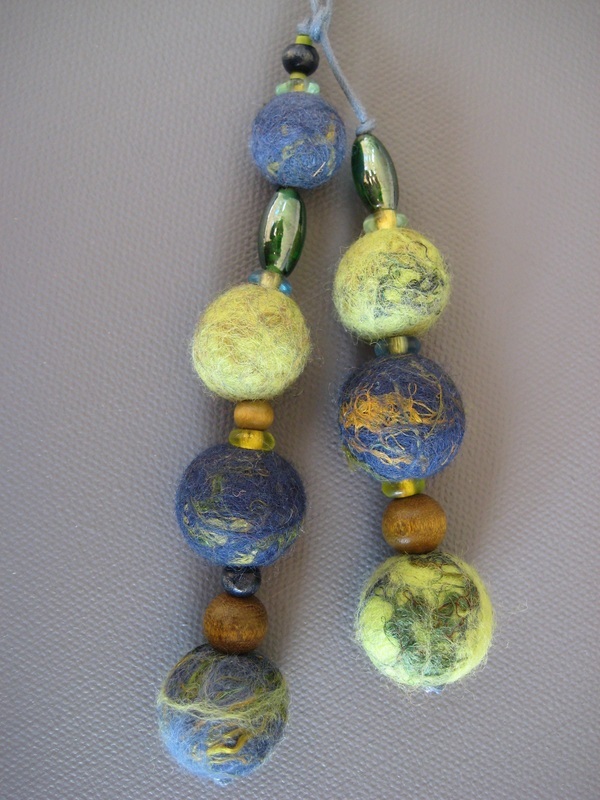 These are then strung (together with ceramic, stone, wood or glass beads) in attractive colour themes to make earrings and necklaces; the balls are extremely tough which is not surprising considering the pummelling they get - the only danger is from the prickly side of Velcro on jackets! 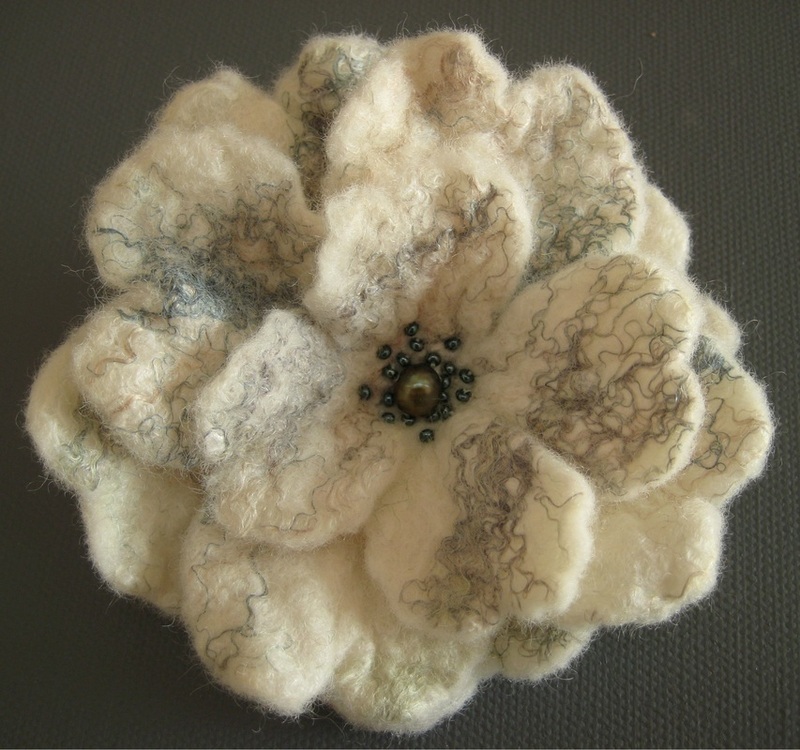 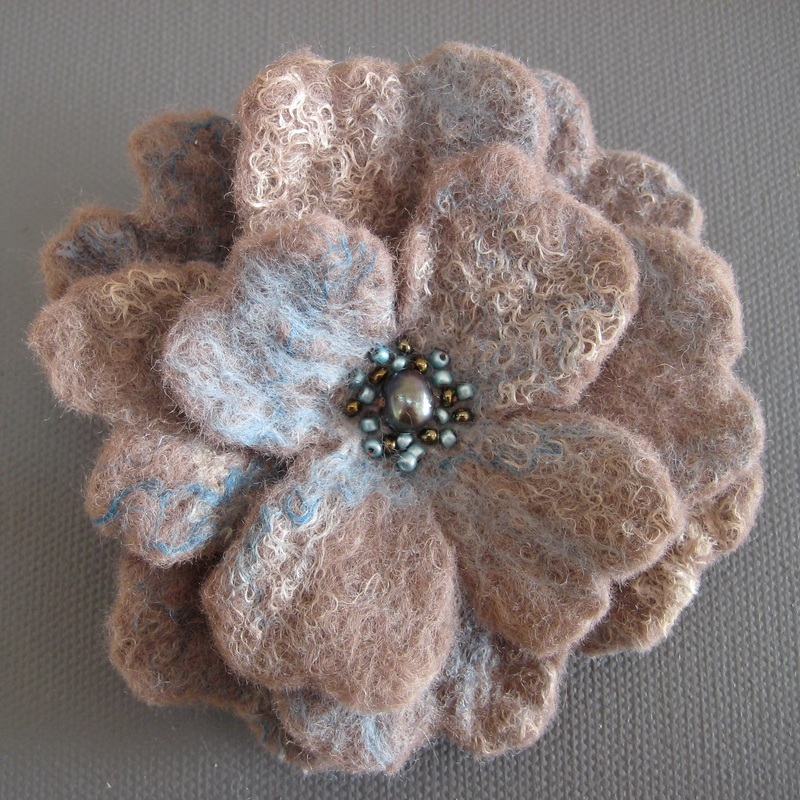 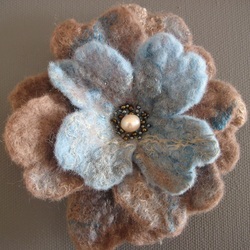 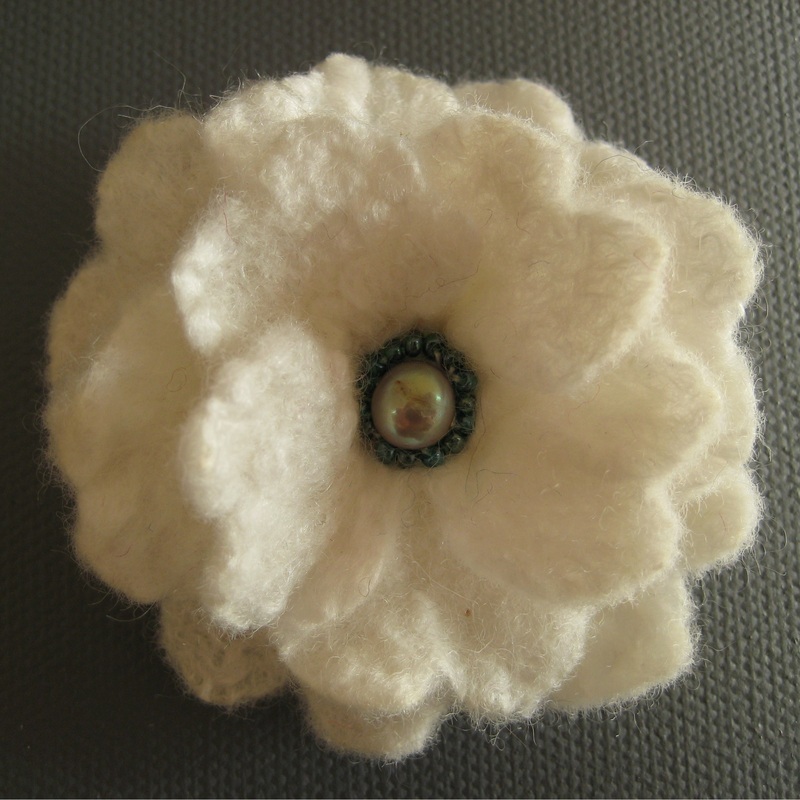 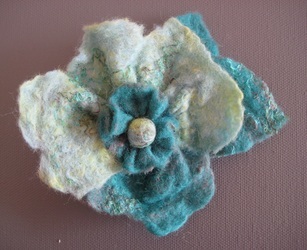 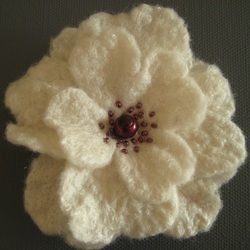 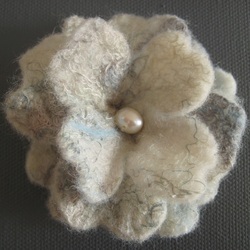 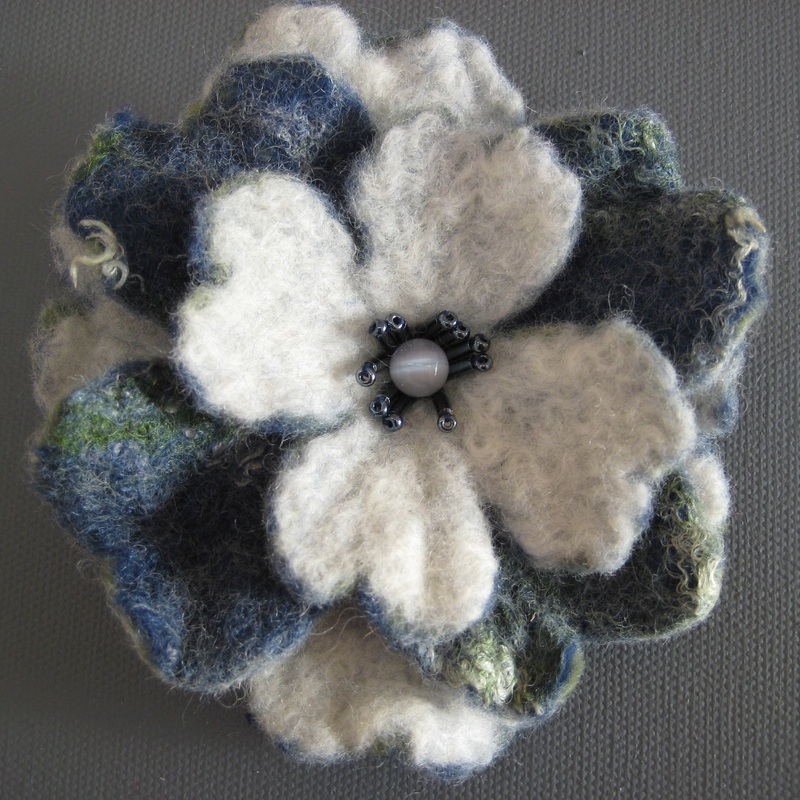 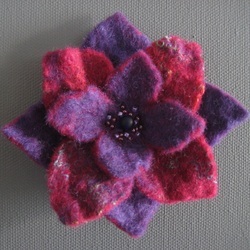 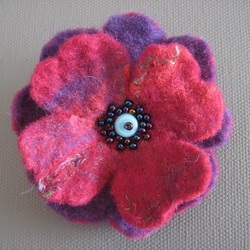 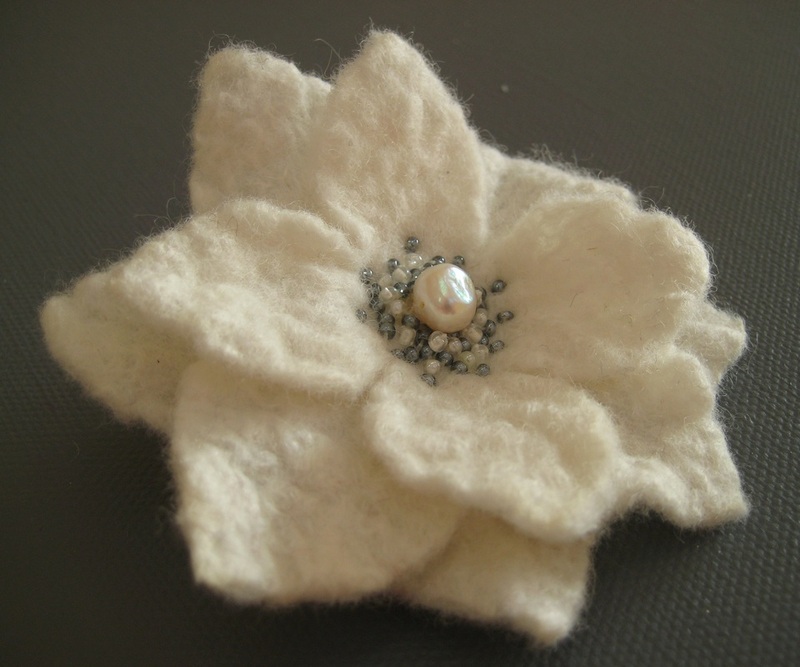 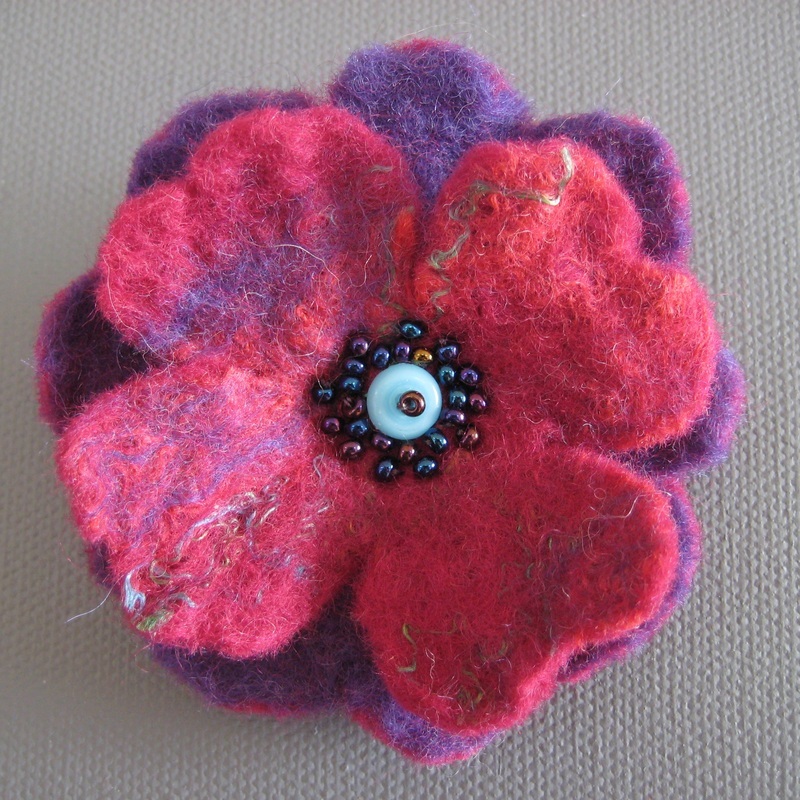 To make the corsages I form pieces of hand-felted Merino wool and silk which are then cut to shape, stitched together, beaded and a brooch back is attached. 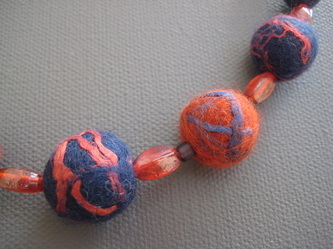 Hover over a picture to read details or click on it to enlarge. 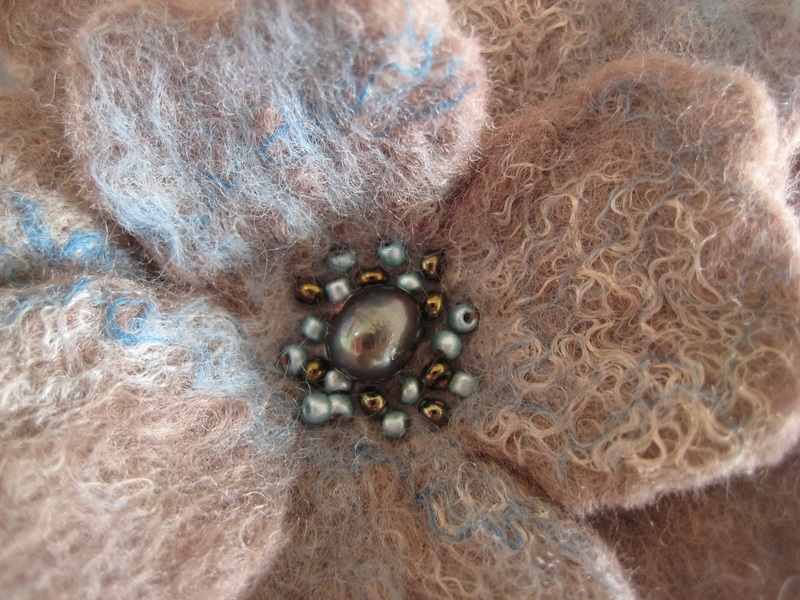 Detail of Mushroom corsage with freshwater pearl and beaded centre.